Just recieved an Award of Merid from the American Orchid Society of 86 points at Pacific South Judging at Huntington Botanical Garden. Like all great fragrant novelty hybrids, Phal. 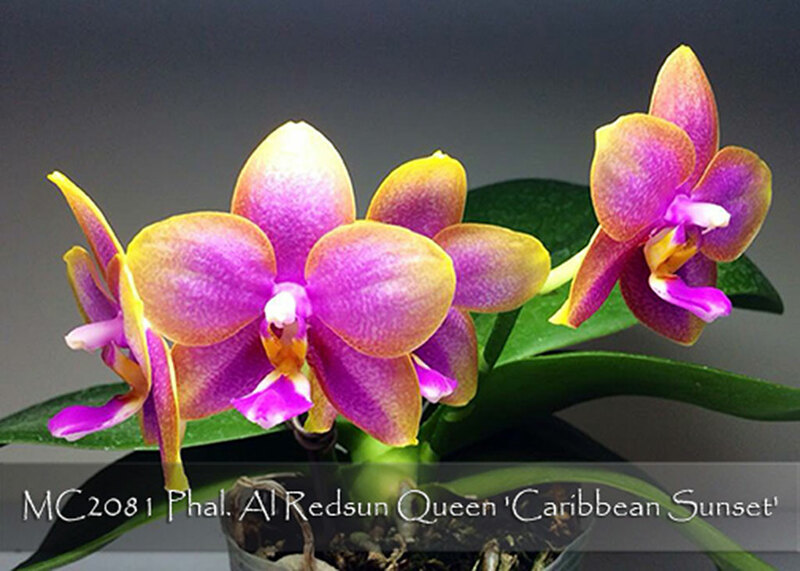 AL Redsun Queen ‘Caribbean Sunset’ has all the important species for this line of breeding in its immediate background! Phal. violacea, amboinensis, bellina and venosa are brought in from both parents, resulting in this vividly colored fragrant waxy hybrid. 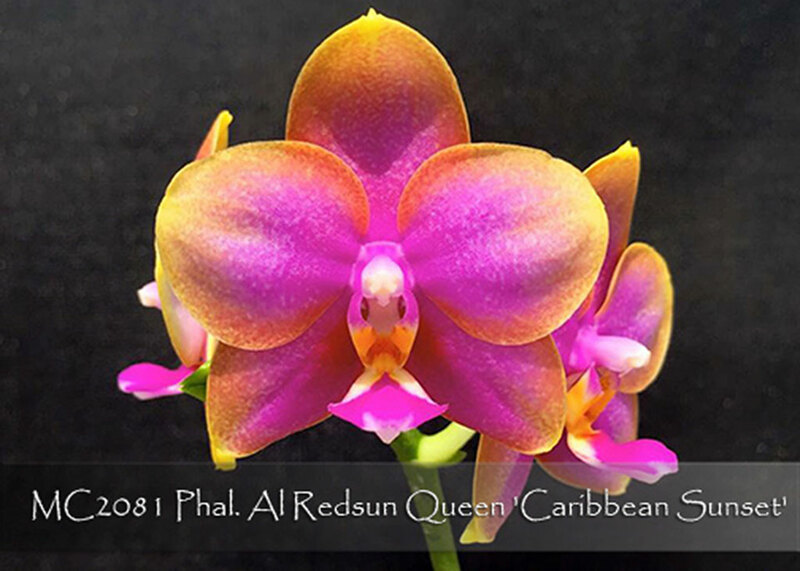 With great potential for further novelty breeding, ‘Caribbean Sunset’ is a Limited Stem Prop and is Very Highly Recommended!